An invitation from the newest collection made from ecru-coloured pearl paper. 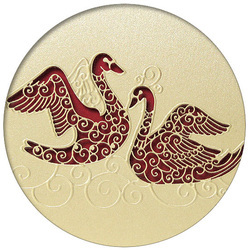 The cover has two original, laser cut swans. 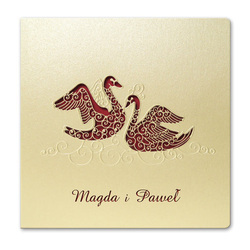 The invitation is also decorated with embossed elements. 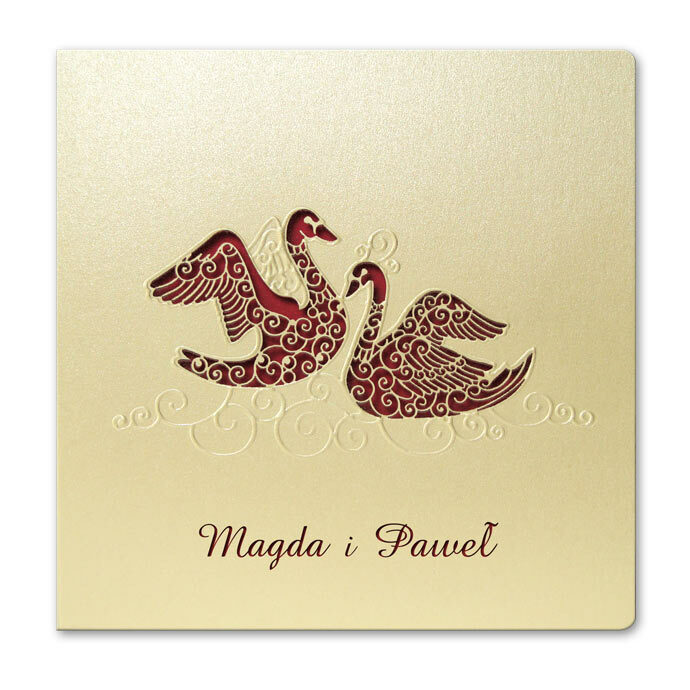 At the bottom the names of the bride and groom are laser cut. 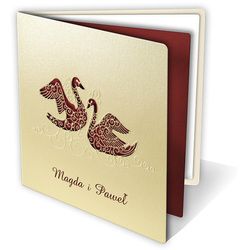 The insert for the printed text is ecru-coloured and matte, it is dyed bordeaux on one side. It creates a bordeaux background for the swans.